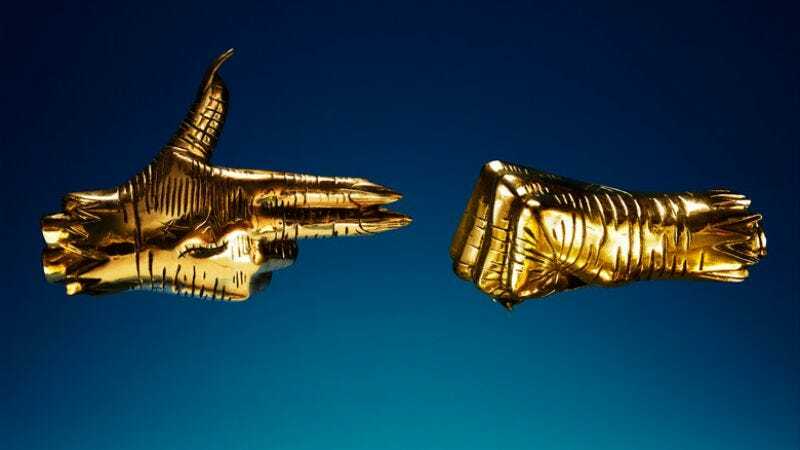 In addition to the track, Run The Jewels also shared the gleaming new artwork. The familiar pair of hands was previously seen holding onto a chain and wrapped in bandages, representing the group’s mindsets while working on the first two albums. But this Midas-touched set represents Killer Mike and El-P’s recent conclusion that we’ve been the jewels all along. That’s actually really sweet. Read for the band’s take on the hands below, then go smile at yourself in the mirror or something.